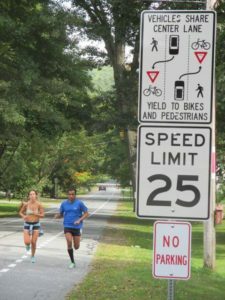 A few years ago, the number of communities in New Hampshire with Complete Streets policies could be counted on one hand: Portsmouth, Concord, and Dover. Today, that number has risen to 10, and it keeps growing. From Troy, NH to Concord, NH, communities of all sizes are choosing to change the way they approach transportation planning & design to consider the needs of everyone, including those who do not drive cars. 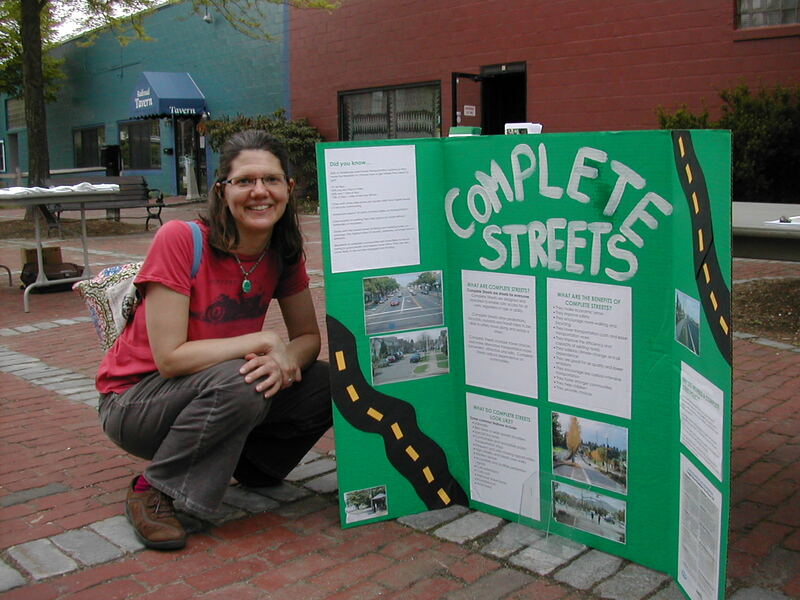 Complete Streets is an approach to transportation planning and design that balances the needs of all users, including people of all ages, abilities, and modes of travel. To put it simply, Complete Streets make it easy and safe to cross the street, walk to school, and bike to work. Advisory shoulders in Hanover, NH . When many people think of Complete Streets, they envision an urban environment with bike lanes, wide sidewalks, street lights, crosswalks, and more. However, Complete Streets can be applied in a rural context as well. Facilities such as advisory shoulders (pictured right), enhanced shoulder treatments, side paths, and more can be used in a rural context to complete the network for people using non-motorized forms of transportation. In fact, the Federal Highway Administration recently released a design guide specifically for rural communities called “Small Town and Rural Multimodal Networks.” This guide offers design guidance and examples of how rural areas have increased the safety and comfort of their bicycle and pedestrian networks while preserving their small-town character. To learn more, visit www.RuralDesignGuide.com. Each year, the National Complete Streets Coalition, a program of Smart Growth America, releases a report that scores and ranks Complete Streets policies for the previous year. This year’s report, “The Best Complete Streets Policies of 2016,” is scheduled to come out June 8, 2017.